Empyrean Dreams: Update: Stchvk Casefiles #1 available now! Update: Stchvk Casefiles #1 available now! 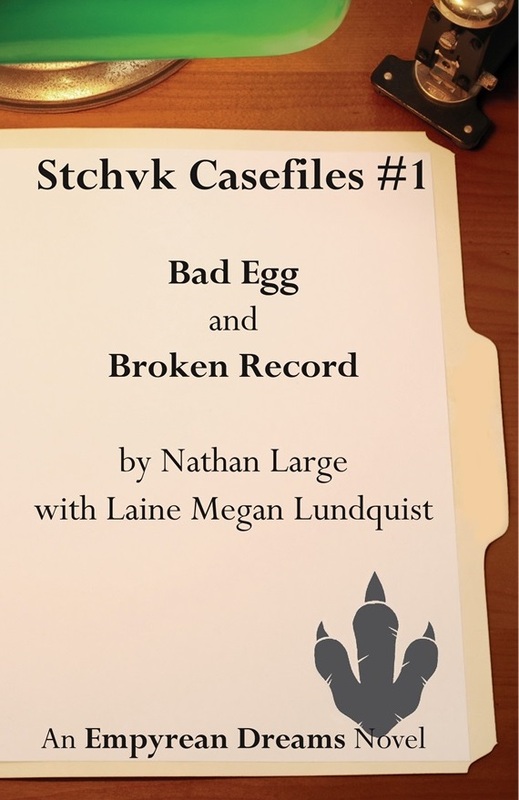 Stchvk Casefiles #1 is complete and available for purchase! Circumstances finally showed some kindness and we were able to get this first pair of stories ready for print. Two tales of Saurian Noir, space-opera sci-fi mysteries, featuring Stchvk, P.I., the detective so hard-boiled, he hatched from an egg. Find it here on Amazon.com, or ask at your local bookstore, printable on demand from IngramSpark or Amazon CreateSpace. Also available as an ebook here. Getting to the next publication will be another challenge. We have another book ready to go, the next two Tales of the Scape Grace, but won't have the same discounts as before. Odds are good we'll try a different crowd-funding platform to request help. And that's not all. One-and-a-half more Stchvk stories are complete, plus half a Scape Grace story, and a pile of ideas for new short stories. We plan to keep writing and publishing, so keep the page bookmarked!